One of the few things that is better than coming across a great, strange work of art (like the Wadsworth Atheneum’s untitled Sol LeWitt stalactite shown above), is discovering that the work happens to have been donated by someone rather exciting. It turns out that the LeWitt was given to the museum by none other than Claes Oldenburg and his wife and collaborator Coosje van Bruggen. Though the Minimalism of LeWitt occupies an aesthetic space far removed from the Pop splendor of Oldenburg and van Bruggen, it’s possible to see a shared sensibility in their practices. As art historian Rosalind Krauss has written, it is tempting to see LeWitt’s work as a product or representation of cold, clear rationality, a tribute to human reason. But, Krauss has argued, that position does not withstand close scrutiny. 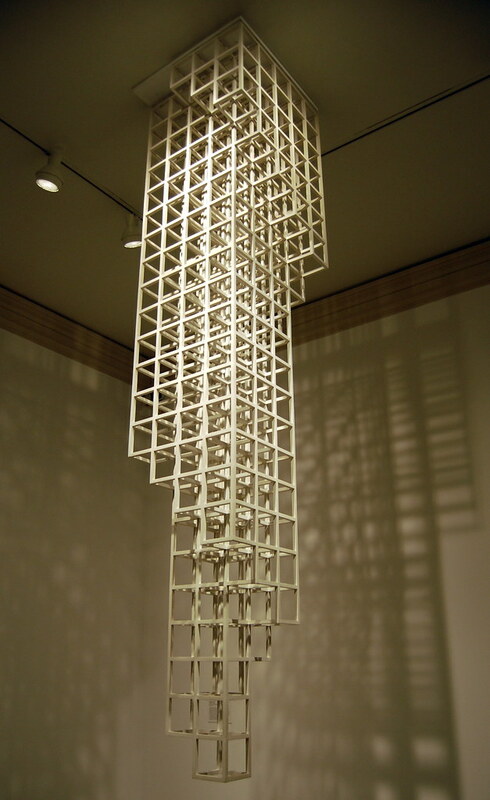 “His math is far too simple; his solutions are far too inelegant,” she writes in her 1977 essay “LeWitt in Progress. “[T]he formal conditions of his work are far too scattered and obsessional to produce anything like … [a] diagram of human reason.” Writing of the 1960s, Krauss continues, “It was an extraordinary decade in which objects proliferated in a seemingly endless and obsessional chain, each one answering the other…” That is a thesis that seems to apply equally well to LeWitt's cubic outgrowths and Oldenburg's absurd sculptures of everyday objects. Florine Stettheimer, Beauty Contest: To the Memory of P.T. Barnum, 1924. Oil on canvas. 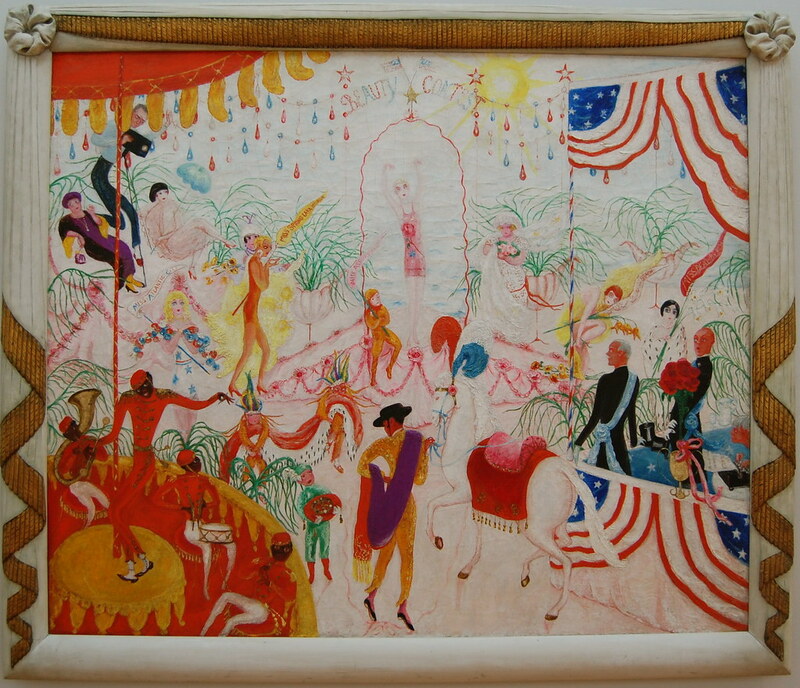 Wadsworth Atheneum, gift of Ettie Stettheimer.